BTC- I know I'm being evasive about the radio program. It's because every time I open my mic, someone gets really pissed off. The details will be there when they are there. Patience. BTC -- NPR, WSJ's Jessica Vascellero and Julia Angwin provide a lot of coverage about our old nemesis, the digital dossier. They discuss how data is used for marketing or surveillance or some combined function of the two with mobiles, and apps with an added twist : your TV watching habits. BTC -- The issues surrounding Real ID have received some great coverage over the last few days. In the past, we have had to get pretty creative to keep a legal zombie fresh. However, staring starkly at your State's prospects for adopting Real ID and the regulation roulette some legislators play, creates a seriousness you wouldn't see otherwise. Here is the letter of a Florida leader who is underrepresented, yet made the best case possible for rejecting the Real ID Act. Since I only ended up with 7 minutes to speak regarding REAL ID last month, I wanted to send you some other information that I did not have time to go into, or did not have time to go into in sufficient detail. 1) In Mr. Zimmer's (the self-professed author of the REAL ID bill in 2004) presentation, he omitted a key piece of information- the stated purposes of the REAL ID Act do include entry into federal buildings, federally regulated commercial flight, and entry into nuclear power plants. What he left out (Section 201 (3) of the Act) is the language "any other purposes that the Secretary shall determine." This places an inordinate amount of power in one person. In this case, the person (Secretary of Homeland Security) is not elected by the people. I submit that this level of power is too much for one person even if they are elected. 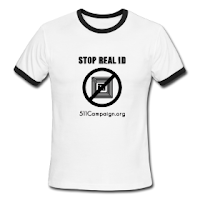 2) Mr. Zimmer stated REAL ID is constitutional due to it being interstate commerce, and cited two Supreme Court cases. I have reviewed these cases and written a lengthy assessment of the cases here. In summary, the Court in each case supported state sovereignty. In the first case (New York vs. United States), it dealt with state-to-state payments for disposal of radioactive waste, so there was in fact interstate commerce, although one provision of the federal law was struck down due to a 10th Amendment violation. The Floridian that pays a license fee does so to the State of Florida, and this fee is retained within the state. The license is issued in the state. There is nothing remotely interstate about obtaining a Florida drivers license. In the second case (Printz vs. United States), a sheriffs in Arizona and Montana sued over being compelled to perform background checks on firearm purchases. The Court held that the police in the several states could not be drafted into federal service. REAL ID is the same in this respect, as the federal government is using the states to create a national (and actually international when one considers the digital photo requirements) ID. 3) The State of Florida has a very poor track record when it comes to safeguarding our driver information. The state was sued by the federal government circa 2004 for illegally selling driver info in violation of the federal driver privacy protection act. If you look at your tag renewal from 2009-2010, you'll see a $1 refund as part of the "Collier Settlement." This suit arose from the same circumstances- the DHSMV illegally selling driver info. As I noted in my testimony, in 2009 several examiners in South Florida were charged with accepting bribes to illegally issue licenses. The system is only as strong as the weakest portion- be it a computer system or the examiner that has access to the data. 4) In the news this week is a push by certain members in Congress to fully implement this law. Notably, Rep. Sensenbrenner (R-WI), who sponsored the original 2005 bill (H.R. 418) that was never enacted when REAL ID was a standalone bill and not hidden in a defense/Tsunami relief bill as it was for H.R. 1268. As a crude benchmark, the commentary on stories such as this one tend to run 90-10 against the implementation. The main support argument usually deals with illegal immigration or anti-terrorism (see below). The implementation date has now been pushed back yet again from May 2011 to January 2013 over concern to disruption to commercial aviation. Many states have not and will not comply with this program for a variety of reasons. Our founding as a Republic (not a democracy) was meant to insure the minority never escaped having representation and a measure of legislative control. In recent years what we are seeing at the federal level from both Democrat and Republican Congresses does not reflect the will of the people. 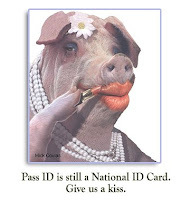 REAL ID is one such issue. Unfortunately, many issues in our nation seem to create a divide along party lines. Fortunately, REAL ID is not one of them. Please note that groups from Anarchists to Libertarians to Progressives all oppose this law. If you support an unconstitutional law, this may be fine while your group is in power, but when they are not, what is to stop the next group from using unconstitutional means against your interests? Our Constitution is a rulebook to try and prevent this from happening. When it is ignored by one side or the other, we all eventually suffer. This law will not prevent illegal aliens from entering our state. In my experience as a road patrol trooper and later line supervisor, illegal aliens will drive regardless of having a license. Likewise, it will not prevent acts of terrorism. If someone has it in mind to commit a terrorist act, the presence of a drivers license is really immaterial. 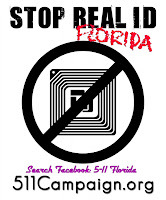 Until the REAL ID Act (and even afterwards), we performed investigative law enforcement. This is part of our due process system of justice. We do not require people to prove they are innocent, we require the government to prove they are guilty, and this only when there is a reasonable suspicion. I spent 5 years in the FHP Bureau of Investigations working mainly Driver License fraud cases- where someone obtained a license in another's identity. I did not investigate everyone in the state in these cases (and did not make people prove they did not break the law), only subjects that were identified through the routine course of an investigation. I'll note that law enforcement does not work as you see it on CSI and shows such as that. Even with REAL ID, it is entirely possible to borrow/buy/steal another's personal papers and use these to obtain a compliant license. The sure way to prevent fraud in renewals in Florida is to mandate the examiner compare the photos on file with the applicant. This is why I added this specific requirement to the bill I drafted and can be found in your legislative packet or online at our website (linked below). The sure way to prevent fraud in original applications is to secure our birth certificates in each of the several states without federal intervention. This process has been implemented in a couple of states, and details are available through the Constitutional Alliance. I see the first two points as the major concerns to Republican or conservative legislators. What this law has done is prevent numerous Floridians from simply renewing their drivers license, or as in my case, obtaining a needed endorsement. It's cost mainly women hundreds of dollars to obtain "needed" documents or in some cases have their name changed. The collection of huge amounts of personal identification information into a single database is not a good idea. 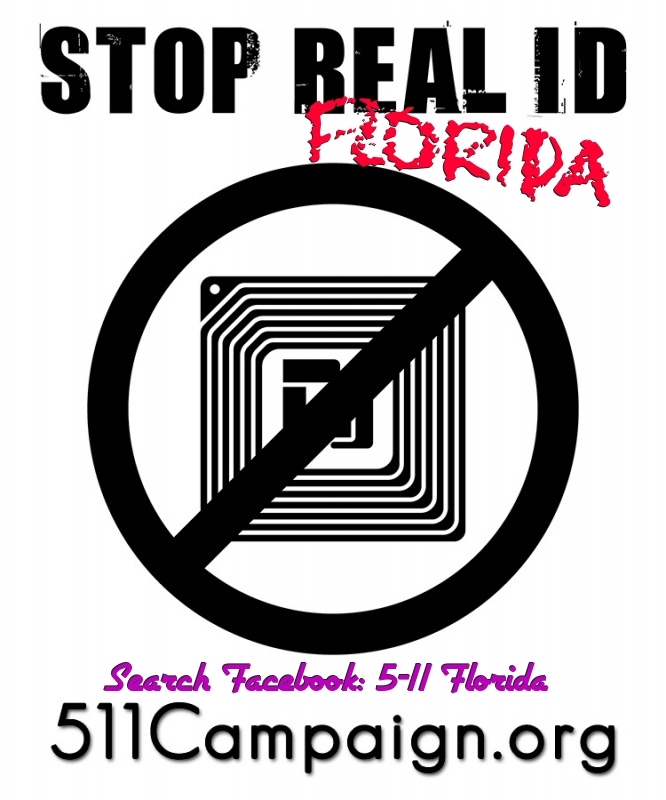 It has put the identities of millions of Floridians that have complied with this law at risk. As Mr. Fielder (the representative from DHSMV) noted about hacking, he will "never say never." Mr. Fielder's update that some decisions are being made at local levels results in a lack of standardization- in one case, a lady told me her paperwork was refused in Pinellas County yet accepted in Tallahassee when she called to confirm- and this was a recent case, not from a year ago. This is further needless inconvenience for our law-abiding citizens that use their drivers license to drive and will likely never enter a federal building, fly, or enter a nuclear power plant. If specialty identification is required for these named functions, then it is incumbent upon the federal government to handle this within the confines of the Constitution. It is not the proper function of the several states to do so. Since we can no longer file our bill, I urge you to allow us to help amend a DHSMV bill to retract the changes made that affect our constitutional rights- at the very least the scanning and retention of personal papers and documents. Our group is based in Tallahassee, and we can meet with any of you as needed on short notice. We are not lobbyists or paid to do this- we are genuinely concerned Floridians that see our rights being chipped away with each passing year. We do not have the funds to file a lawsuit to challenge the constitutionality of the law, so we are asking for your help to put right what the Legislature did in 2008 with the passing of CS/SB1992. We saw a huge increase in DHSMV fees in 2009, and then an intrusive septic tank bill and REAL ID in 2010. Your committee is our best hope to begin to turn things around and not only restore our rights but to protect them in the future. The most noteworthy line of reporting came from Rep. Lamar Smith's side of the fiscal fence. "Noticeably absent from the DHS 2012 budget request is the Real ID program." In keeping with the can-kicking tradition here at BeatTheChip, we post an energetic can-can dance. However, some Obama Fan Admins dominantly redirected Fatboy Slim's Can Can Can, so it would be unfair to feature it for you (against the rules). I have to default you Baz Luhrman's dedicated footage; which is luridly appropriate for the times. BTC -- One thing relevant to "beating the chip" is that we are always inventing and searching for new and different ways to do just that. The requirement is to think creatively about it. Surveillance continues to creep up on us. What is beating the chip? How do we beat the chip? Why can't we just do it once and be done with it? These are the expansive, nagging questions which pursue doggedly long into the night, head underneath the pillow, back turned to the conscious world. In order to "beat the chip" we need to first understand what the chip represents. The chip represents the social adoption of some transhumanist ideas including pervasive electronic surveillance, abdication of privacy boundaries. If the transhumanists get what they want identity would become a possession overpowering the personal rights and property of the individual for a collective run by an unknowable entity via remote control. It is staggeringly presumptive; to a point where it's almost unbelievable. Unfortunately, "we have the technology". Handheld computers, wi-fi enabled laptops and GPS systems tell on us all the time. It's just the next platform for transhumanists to get the computer inside of your body to perform the same function. They would just get a more proficient admin, who does more, faster with the increased piles of data you and your body would generate. The individual rightly fears a global tech collective for all the same reasons we fear the manifest abuses of empire. Who wants to delegate their personal power to a central control grid completely dedicated to watching all the worker ants in society? In a few words, it's dehumanizing. At the end of the day, humanity may seem cheap, but it's really all we've got. To rely on it's strength and combined frailties has its own integrity. There are more than a couple of people who can't embrace the eventual breakdown of their mortal coil. They fear the eventuality of death, seeking to control what they can't. They can't leave the human and animal well enough alone, tampering and tinkering with DNA, genetics in evolutionary folly. Humanity becomes defined and interchangeable with imperfection in advertising and marketing. Bettering ourselves and each other is one way to make a living in this world. Transhumanism is supposed to be about shuffling off this mortal coil in exchange for a more decent robot who will execute our desires without the problem of societal judgement, legal intercession, morals or ethics. There is no need to incarcerate anyone, all harm is done robot-to-robot in this "evolved" scenario. More than a few warnings have been issued, mainly from the film industry, one of the latest of which is in the film Gamer about the fundamental flaws of getting out of the way of Transhumanists. In Gamer, an intermediate virtual society employs people to perform robotic functions as entertainment for other people in live versions of video games. Some other films connecting the dots with the profound problems of using robots as intermediaries for human excesses are Surrogates, Minority Report, and of course The Matrix. Transhumanism is one way to give up and keep on living if your desires can in no way be reconciled with the laws of physics, reality or concrete morals. Wealthy cynics are it's victims and their bank accounts become the hosts for a parasitic involvement with the can-do ingenuity of whatever technology can provide. In fact, CNBC decided to come front and center with, Surviving the Future, a documentary which took over 45 minutes of apocalyptic runaround to get around to the propaganda: the future of humanity will require us to surrender to singularity. Surviving the Future - Montage from Gabriel Rocha on Vimeo. The transhumanist message is; the sooner you adopt this way of life the easier it will be to incorporate your chances of surviving an economic or geological collapse. However, what kind of life is it if someone else can eclipse your life into some sort of efficiency pill form? With so much apocalyptic detritus rolling around in media and on the Internet, you might consider the notion of an apocalypse occurring in the near future. The transhumanists believe they can beat it if we all band together and fight it with comprehensive technocracy. The point of an apocalypse is that you have absolutely ZERO control over an economic, sociological and ecological breakdown. If you survive the disaster, you get to rebuild. However, you don't ask for obedience in advance, like some sort of undeliverable form of life insurance. The message of the apocalypse is that nothing can save us. The apocalypse is the biggest problem transhumanism will ever have in that there is no way to control it. Disaster is a return to an uncontrolled unknown, the great chaotic void, and it may be the one place where you cannot generate any more data. If we sit on the pregnant shores of decline, we can ponder a lot of great human questions which escape the mandibles of government and social controls. Giving up on humanity is too easy. Letting a machine do the work of mankind beats us out of our soul's survival. Hard work assists mankind in accepting mortality as a personal handicapp. Tiring of the body coerces epic efforts to forage into the unseen, the subtle and the creative on the premise that there must be something more than the demands of the animal. Technology exists for this seat too; but it is not the substitute. It is designed to propell the expression of a mortal human being. We are duty bound to help one another up from a place of frailty, not to a place of isolated proprietary absolutes or egotistical enshrinement. Some of the greatest inventions come from terminally exhausted people; after being forced into a corner their gifts benefitted all. I realize this runs a lot more philosophical than other commentary forged here. I don't have an answer to comfort the overconfident ideals of transhumanists. However, someone did suggest an idea of how we can learn to think ahead to all the possibilities that do not yet exist; or to become a quantum activist. You may find something trustworthy there, if you didn't delegate that task to a robot. The Quantum Activist : Dr. Amit Goswami Movie Trailer from BlueDot Productions on Vimeo. "Homeland Security bows to Real ID outcry"